Intel would be releasing the latest 4th Generation Haswell Core processors on 2nd June 2013. 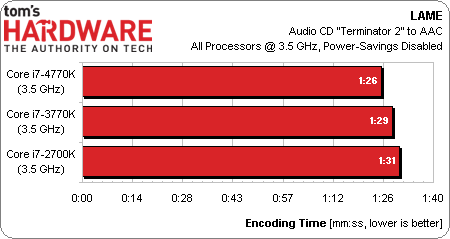 Leading the pack on the desktop front would be the Quad Core Core i7-4770K which has today been previewed by TomsHardware. 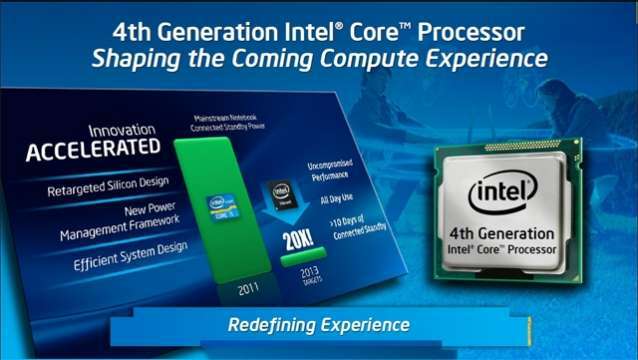 We know almost everything about the Intel Haswell lineup since it was revealed in two multiple leaks which can be found here and here. As you can note, the lineup consists of 26 new desktop processor variants which would offer compatibility with the upcoming LGA 1150 socket motherboards. In addition to the desktop lineup, Intel would also launch their new Haswell Mobile CPUs which would consist of the flagship Core i7-4930MX and five other BGA/rPGA processors which can be seen here. Coming back to the Core i7-4770K, the flagship part would have 4 cores and 8 threads clocked at 3.5 GHz stock and 3.9 GHz max Turbo Boost 2.0 frequency. The CPU would ship with an 8 MB L3 cache, 84 W TDP and an GT2 level iGPU which would be clocked at 1250 MHz (1.25 GHz). Now here’s something to note though, that while Intel’s GT2 HD 4600 graphics would offer better performance over Ivy Bridge’s HD 4000 it still features 20 cores (Execution Units) compared to 40 Execution units on the GT3 chip which only ships with Quad Core mobile parts. 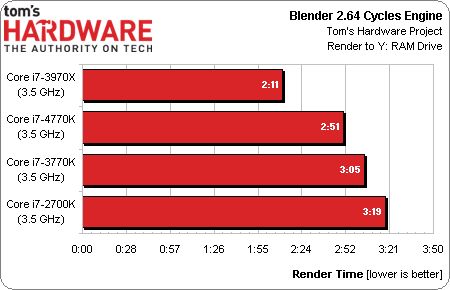 Nevertheless, Toms has provided a brief preview on the GPU performance of the GT2 chip on the Core i7-4770K which would be seen in this article later. 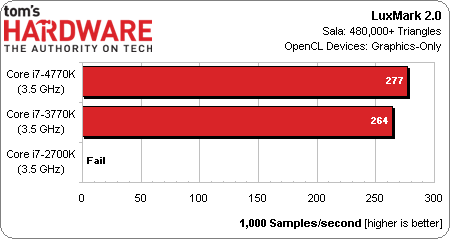 As from the CPU intensive benchmarks, it could be noted that the Core i7-4770K has 3% better clock-per-clock performance compared to Core i7-3770K and 5% better than Core i7-2600K. 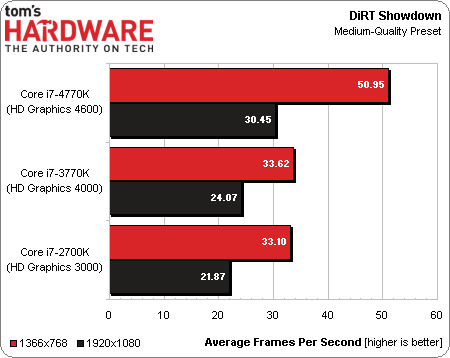 Multithreaded performance no’s improve with 7% enhancement of the Haswell core over Ivy Bridge and 14% over Sandy Bridge. In Visual Studio 10 Compile benchmark, the performance improvement increased to a hefty 14% lead of the Core i7-4770K over its Ivy bridge predecessor. 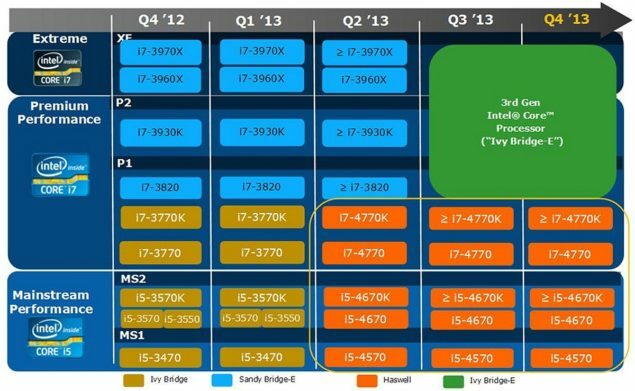 Overall IPC improvement of the Haswell core lies at 5-15% against Ivy Bridge in CPU and compute intensive benchmarks which is a nice improvement considering the Intel’s Tick-Tock planning. The GPU performance on a flagship desktop part doesn’t matter much for consumers since they would obviously be going towards a discrete graphics solution but Intel spent quiet some time upgrading the GPU core on their Haswell core processors. The GT2 over GT3 might not have a hefty load of performance but still goes off to show that its a decent iGPU for running casual tasks and games. Especially the entry level Core i3/i5 chips with these GT2 graphics would be a decent improvement over Ivy Bridge’s HD 4000 iGPU. The Mobile CPUs still take away the iGPU performance crown on Intel’s front with their much faster GT3 graphics chip. 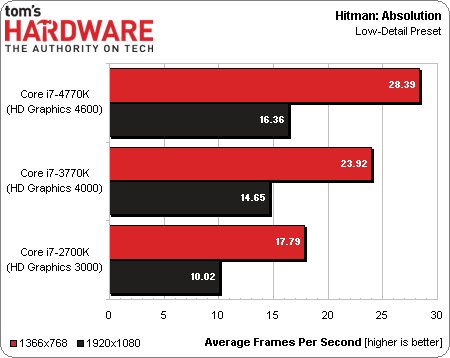 With the kind of results TomsHardware got in games such as Skyrim, Hitman Absolution and Dirt Showdown, its fair to say that Intel is now right on target with AMD’s Richland APUs in the iGPU performance segment. 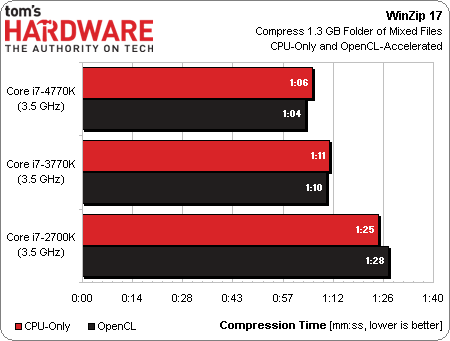 The GT3 level graphics chip would be much faster since Richland reuses and enhances the VLIW4 iGP rather than being a new architecture as Haswell. Kaveri when it launches would change the game but that is scheduled for a later Q4 2013 launch. As for Core i7-4770 and Intel’s Haswell platform, CeBIT 2013 already showed us a glimpse of what to expect from motherboard manufacture’s with ASRock, Gigabyte, MSI, BioStar and ASUS showcasing their latest Z87 LGA 1150 motherboards. And Intel departing from the motherboard market with LGA 1150 boards being the last offering from their side. 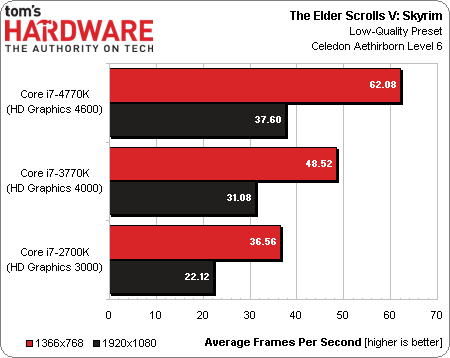 You can check out the benchmarks below courtesy of TomsHardware.